In November 2017, the Fall 2017 Bucks County Real Estate Market Trends show that sales in Bucks County were up 2.6% in November 2017 vs November 2016. While some view sales as strong, there were also two other main driving forces at work in the local bucks county real estate market. Bucks County Home Prices: DOWN 0.3% from last November. For the year, inventory of homes for sale in Bucks County is 13.4% below last year. The inventory of homes for sale decreased by 7.0% in Bucks County during November and is down 13.4% (370 listings) compared to last year. That one statistic alone is driving up sales because the limited inventory is causing those in the market to chose a property based on what is currently available. The Months Supply of Bucks County Inventory dropped to 3.5 months, while the number of new listings in November was down 10% (63 listings) compared to last November. So if you’re looking for a new home for sale in Bucks, you found fewer homes to chose from and therefore to purchase the end of 2017. Sales in November were down 12.9% compared to last November but are up 2.6% year-to-date. The Property Marketing Period decreased from 42 days in November 2016 to 27 days. The median sold price in November was down 0.3% ($1,000) from last November but is up 5.5% year-to-date, a $15,700 increase per sale. The sold price compared to the original list price in November was 97.0%, slightly above the normal range of 94-96%. The Sold Price to List Price ratio was at 98.5% compared to 97.9% last November. During the Fall 2017, all showings in the Delaware Valley Real Estate Market were 2.2 showings per listing for properties for sale during the fall. Note: There were some showing reservation issues with the MLS during November however all appointments in November were down from the previous year and month. Compare Fall 2017 Bucks County Real Estate Sales against the Fall 2017 Delaware Valley Real Estate Market. 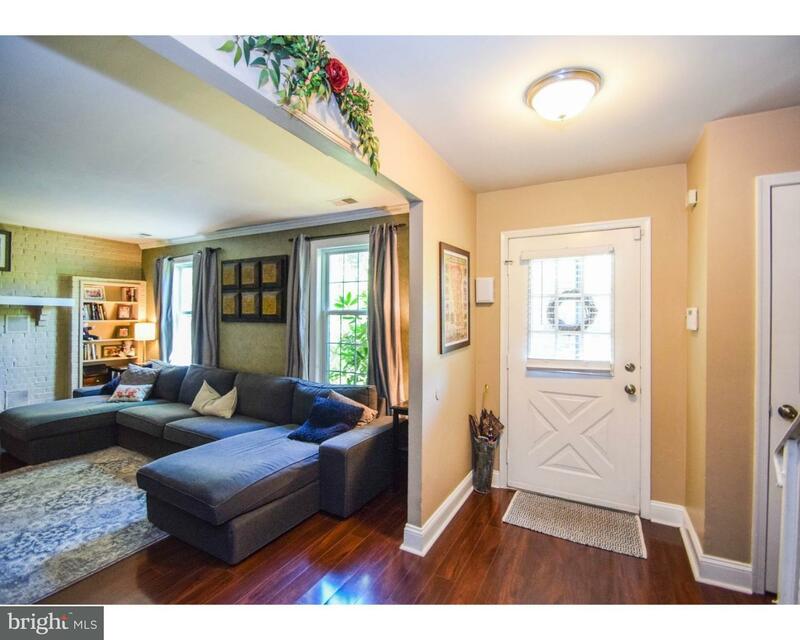 BEAUTIFUL UNIQUE HOME WITH HOME BASED BUSINESS OFFICE IN DOYLESTOWN – Expanded 4 Bedroom 2.5 Bath Colonial home located … read more. Sophisticated and spacious Chesterfield Colonial situated within the sought-after Ridings of Buckingham Community locate… read more. Fabulous Solebury Townhouse.This gorgeous updated Wilshire Hunt property is a turn key gem. Walk through into a opened f… read more. Welcome to the upscale Community of Doylestown Station. The builder, Pulte Homes is known for their superior floorplans … read more. Well cared for Lower Southampton Twp 5 bedroom single located in the Neshaminy school district is awaiting a new home ow… read more. Your own piece of paradise awaits you! Only minutes away from main roads, this one-of-a-kind house offers a green sanctu… read more. Welcome Home to this beautiful updated bi-level home located right behind the McDonald Elementary School and a short wa… read more. Move-in ready! This beautifully maintained home awaits! 2794 Bellows Place located in Buckingham Township offers 4 bedro… read more. WOW! A MUST SEE!! This 4 bed 4.5 bath Colonial just underwent major renovations throughout the entire home and the exter… read more. Beautifully maintained and updated just outside downtown Perkasie Borough, this 5 bedroom home has been expanded and imp… read more. See recent properties just listed in Bucks County. See all homes for sale in Bucks County.